New collaboration will help expand hydrogen station network in the U.S.
Mitsui & Co., Ltd. will begin a business collaboration with FirstElement Fuel, Inc. (FEF), the largest hydrogen station developer and operator in California, aimed at the development and maintenance of competitive hydrogen stations, expansion of FEF’s network into other regions, and the enhancement of hydrogen infrastructure. 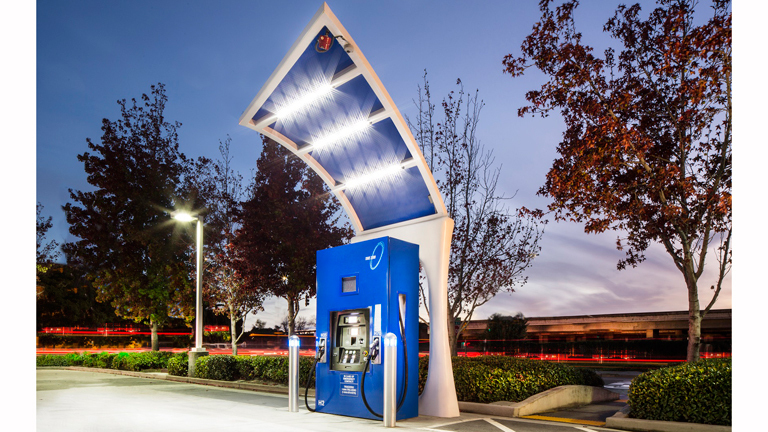 To date, FEF has received support from companies such as Toyota and Honda, and is currently developing hydrogen stations across 31 locations, mainly in the state of California, with 19 already in operation. With the aim of further expanding its network of hydrogen stations, FEF has received growth funding totaling $24 million from U.S. based Mitsui subsidiary High Solutions, Inc. and French company Air Liquide. California has developed its own unique environmental policies through which it aims to reduce greenhouse gas emissions. In the transport sector, which is the source of a particularly high volume of emissions, the state is aiming to introduce five million zero-emission vehicles by 2030. As part of efforts to reach this goal, the state is working to expand the use of hydrogen fuel cell vehicles, and as of January 2019 the state is the world’s largest fuel cell vehicle market, with approximately 6,000 operating on its roads. However, with only 37 hydrogen stations operating in California, and the expansion of hydrogen stations is seen as an urgent task. This business collaboration is expected to lead to an increase in refueling stations, and further expansion of the fuel cell vehicle market across California. Mitsui is also participating in the Hydrogen Council, an organization working globally to promote a shift to new energy through the use of hydrogen as a clean energy source for the future. The company will continue to work on initiatives to reduce carbon emissions in the mobility sector and aim to contribute to the creation of a sustainable environment.